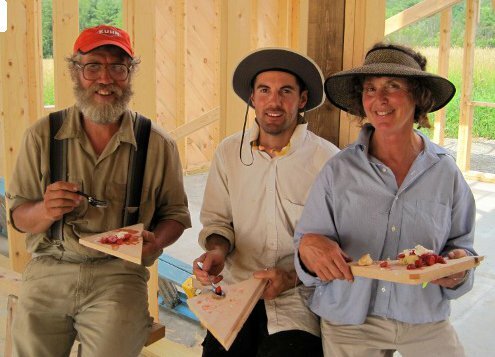 At the Treatment-Free Beekeeping Conference in Leominster last July, it was very clear that the people who have succeeded in keeping a productive apiary for many years without treatments have all figured out their own patterns and methods based on their own unique situations. These apiaries are spread out across the world in a variety of environments from the humid tropics in South and Central America to the blazing hot Sonora Desert of Arizona; from the high altitudes of the Southern Rockies to the humid rain forests of Western Washington. Further east they spread out from the mild temperate zones in Texas, North Carolina and France, to the short summers and bitter cold of interior Scandinavia and northern New England. The weather and honey flow patterns are very different, to say the least, across this range of locations, and this menagerie of beekeepers has an astonishing variety of strategies for producing honey, pollen, propolis, wax, bees, queens and venom from their colonies. However, there is one thing all these beekeepers have in common-- one experience they all share: like it or not, they all watched their bees go through at least two Collapse and Recovery cycles before their apiaries would stabilize enough to produce surplus hive products without treatments. 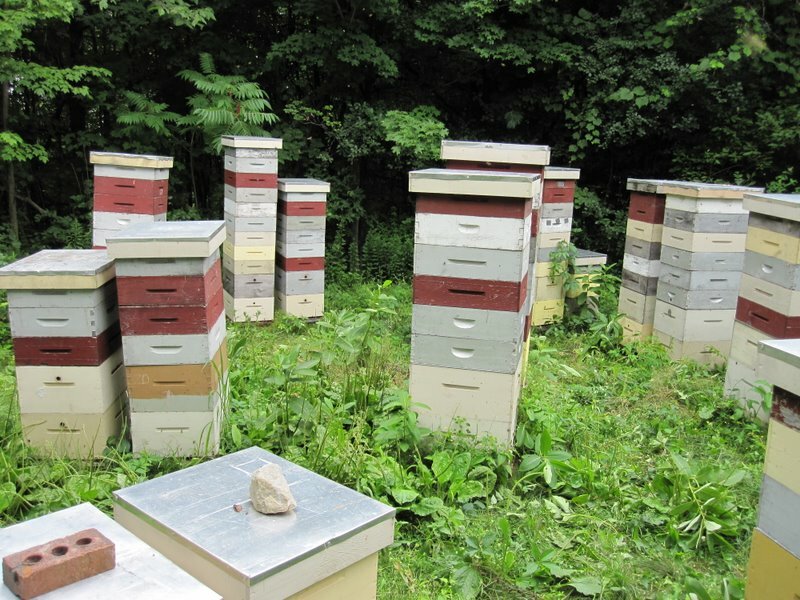 For some of us, who didn't know what we were doing, and who started with bees that had very little ability to co-exist with varroa, these Collapse cycles were very dramatic--bordering on disastrous. But for some of the beekeepers in S. America, the cycles were very mild or even invisible-- because the Africanized bees already had considerable ability to co-exist with varroa, and also had an extremely rapid reproduction cycle. This provided an important clue: We now know that apiaries of European bees can go through the Collapse and Recovery cycles without too much economic damage if you can start with a "wild-type" stock that already has some resistance to varroa, and propagate new colonies faster than the initial heavy losses. The Collapse and Recovery cycle is the means by which insects keep their niche filled to the corners for the largest possible percentage of time, and the way they adapt to sudden changes in their environment. Insects seem indestructible in certain situations, but can suddenly become very vulnerable when their environment shifts in a radical way. Sometimes whole populations will be decimated, but the survivors are endowed with unbelievable potential for reproduction when conditions are favorable. This allows them to rapidly refill the space in the ecosystem, change their genotype quickly, and activate who knows what other defense mechanisms. The Collapse and Recovery cycle is the reason that grasshoppers are hard to find in some years, and everywhere in others. This is the way that varroa mites became quickly immune to the most deadly poisons we could throw at them, and it's also the way that honeybees can become able to co-exist with varroa. It remains to be seen whether the bees now being selected by testing hygienic behavior, and by counting mites and nosema spores-- while still treating the bees-- will someday be able to thrive without treatments and never go through a Collapse and Recovery event. I assume this is the goal of these programs. Perhaps John Kefuss's bees are the closest thing to this kind of success so far-- he has certainly expanded and at the same time streamlined his testing procedures better than anyone. But from his writing and conversations, it seems clear that his own version of Collapse and Recovery (the "Bond Test" and "Cave Man Genetics") have done most of the heavy lifting, and were a necessary first step before all of his testing could yield really good results. (You see how each person arrives at his or her own favorite methods.) 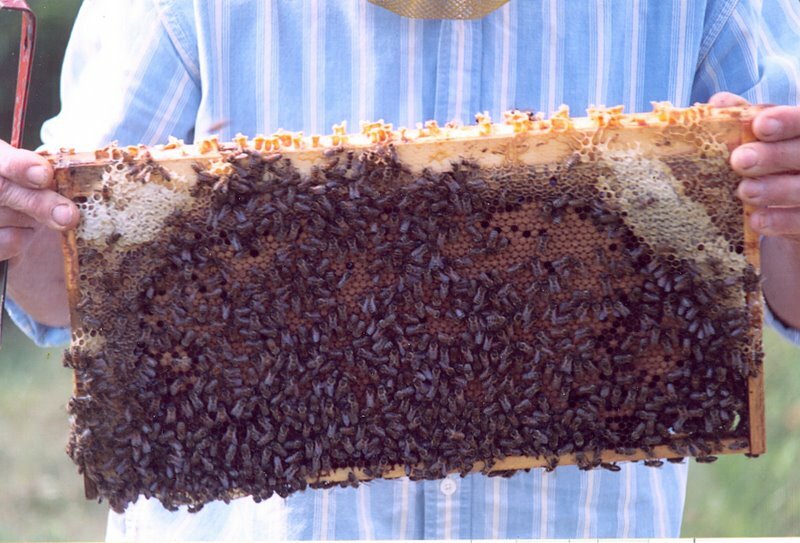 And there are many apiaries going through a series of Collapse and Recovery events, despite being treated every year. I am fearful that the process of testing bees, while they are still being treated, will be interminable; and if it does end at some point, the bees will still have to go through the Collapse and Recovery cycle, much the same as they would have without all the testing. The bees are being tested in too few dimensions. The very definition of an Ecological Niche: an n-dimensional hyperspace-- where n is an unknown and potentially infinite number-- should suggest that treatments are a real problem and that bees should live and adapt and recover in all of their dimensions, not just some of them. A lot of time and money are now being devoted to treatments and testing that could much better be spent investigating the real costs and effects of pesticides, and helping farmers figure out how to grow crops without them. Beekeeping is now a case where practice has to progress faster than science can document that progress. The emphasis needs to be on removing all treatments as fast as possible, and using Nature's larger patterns to find a path back to health and resilience. Let's come back again to the case of my Swedish friend Erik Osterlund, who did so much to track down and document--in many countries--the work of beekeepers operating without treatments. He also did more to prepare his apiary for the arrival of varroa than anyone else I know of, or can imagine. 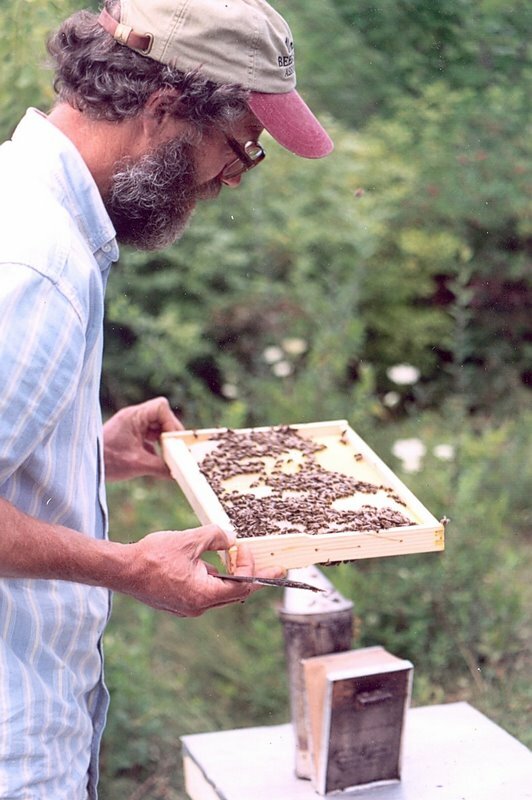 Three years before the arrival of varroa in his area he had already completed the multi-year task of stocking his colonies with bees having survivor parents on both the male and female side-- and converted all of his combs to 4.9 size. Yet, when the first contact with varroa mites occurred, his bees fell apart, much the same way the all unprotected European bees in N. America did upon their first encounter. To me this is just further strong evidence that natural systems operate in more dimensions than we can easily see and measure. It took time for a new host-parasite relationship to develop, and we really did need to kill the mites at the beginning in order to have any bees left at all. The one good thing about our current situation is that we are well past this stage now in N. America, and also well past the point where the focus should shift towards removing all treatments and learning from our new friends. Once honeybees and varroa can co-exist in an economically viable situation, then this mite disappears as a pest and takes on the role of friend, ally and mentor-- doing most of our selection work at little or no expense, and pointing clearly to the places where our practices are misguided or poorly adapted. Because of its status as an out-of-balance parasite and its enormous destructive power, the varroa mite is the most important creature to focus on this way: as a potential ally. But the story is the same with all the other visible and invisible creatures we regard as "pests". If we can learn to treat them as friends and allies, and learn from them; then we have a chance to create a better agriculture and a world based on creativity and biological energy. If not we have no choice but to follow the same consumptive and self-destructive path we are on now--and share the same outcome with all past civilizations and cultures who chose to live by such tactics. 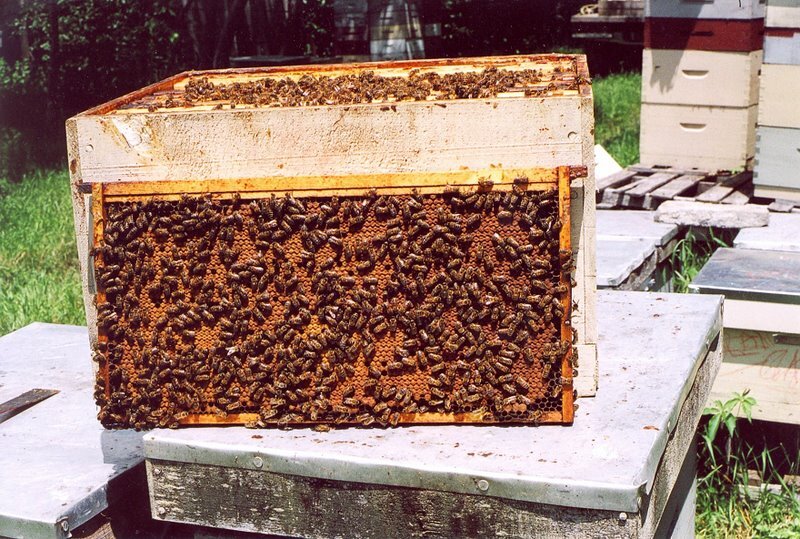 In many of the same ways that my tiny state exerts a disproportionate amount of influence in the Senate, beekeepers--because of their key role in both the food chain and natural ecosystems--may have a disproportionate role to play in choosing which path to follow.